Please click on the image below for an interactive map. When the map is open, click on each Ward Name for a larger, more detailed map. 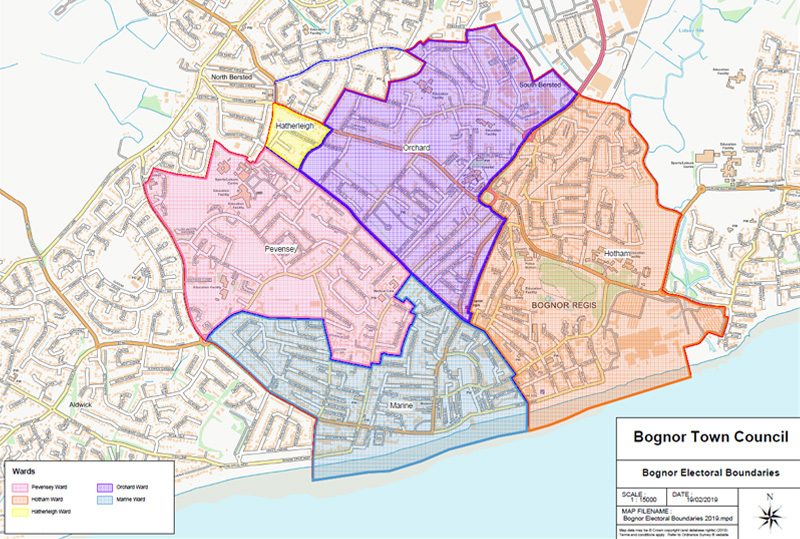 Councillors for the Wards of Bognor Regis can be found here. For Ward maps prior to May 2019, click here.